AlertVU rapidly sends messages to the delivery points the user has chosen—cell phone (voice or text), landline, and Vanderbilt email account—in the event of an emergency that poses an imminent threat or danger to the Vanderbilt community. Examples of such a threat include a tornado forecast to strike Vanderbilt, or an active shooter on campus. In the event of an emergency, AlertVU is one of the ways members of the Vanderbilt community will receive information. The webpage alertvu.vanderbilt.edu will be the primary location for all information and ongoing updates. 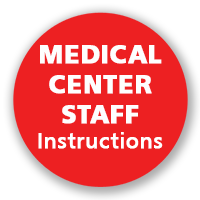 Other existing systems, such as the campus security notices, Alertus desktop warnings, outdoor sirens, as well as other campus and medical center websites and social media may be used as part of the university and medical center's overall emergency communications strategy. All Vanderbilt faculty and staff are automatically enrolled in AlertVU with their Vanderbilt email address only. Users may enter additional phone numbers in by which they wish to receive voice or text alerts. 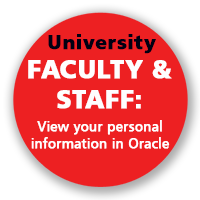 Vanderbilt University employees can update this information in Oracle; Medical Center employees will use C2HR to update their contact information. Vanderbilt students are automatically enrolled with their Vanderbilt email address and phone numbers. Students may also enter a contact number for a parent if they wish for a parent to be notified of emergencies at Vanderbilt. This information can be updated through the YES system. AlertVU will be used only for emergencies posing an imminent threat or danger to the Vanderbilt community. Effective emergency response requires personal preparedness and planning. We encourage you to update your personal preferences for AlertVU and to explore the links on the Emergency Preparedness website for resources to help you develop your own emergency preparedness plan. Vanderbilt®, Vanderbilt University®, V Oak Leaf Design®, Star V Design® and Anchor Down® are trademarks of The Vanderbilt University. © 2016 Vanderbilt University. All rights reserved.